You might be thinking “Say wha’?” Wolves? Yes. Wolves. I love wolves. We used to have a wolf-dog who was my protector and guardian angel. He would sleep outside of my bedroom door every night. Every. Single. Night. Marc gave him to me when I was going through a bad “spell”. Mason never once looked back. He jumped in my car, came home, and that’s where he stayed for six years until he passed away. But that’s not the reason that I chose this organization. Anyway, it was an amazing experience for Alex (and me!). This one particular wolf, Abe, loved Alex and came up to him, sniffing his neck and letting Alex pet him. There was a connection between the two of them. Sometimes in life we have to realize that people are like wolves…they may run in a pack or they may choose to be lone wolves. Either way, they are still strong and beautiful. 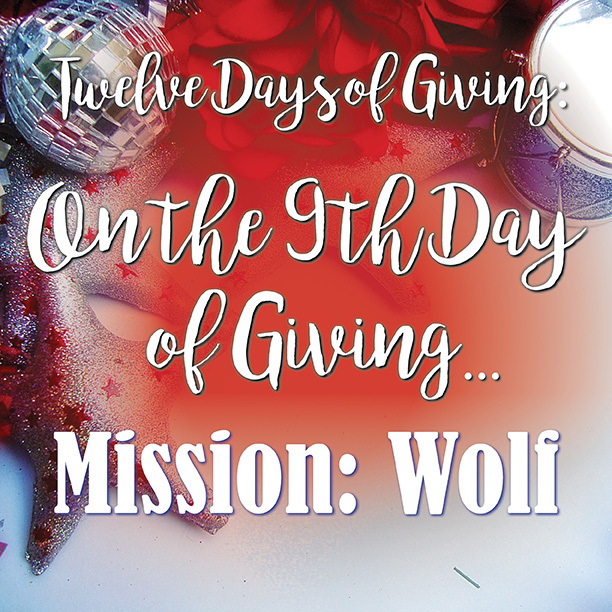 I am giving this donation, Nine dollars for nine days (x 4 since it will be repeated on day 10 day 11, and day 12) in honor of my first true love, my son Alex. And a goat to feed a Sudan family. First time visiting me? Subscribe for email updates or find me on Facebook, Twitter, Pinterest, and Instagram.